The "Summer Classic" has returned. Space limited. $50 holds your spot. Check out early registration specials to save up to $50 off registration. Great news! Neons 70's took the bronze medal and Neons 65's took the silver medal (by one run in a tiebreaker inning by the way) in Mesquite this past weekend (4/12-14). Congratulations Neon's!! Agenda: Will be posted to the Document Collector and the Forms - Documents 2 section and a message will be sent out via e-mail to all members. Never too old to look good..... Key in code "LVSSA" and the LVSSA receives 20% on all sales! Click on "Merchandise" above to order. 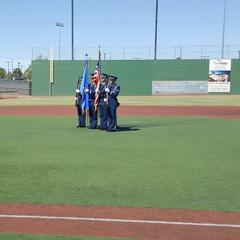 The annual LVSSA "Recreational" Flag Day Tournament will be held on Tuesday and Thursday, June 11th and 13th at Big League Dreams (BLD). Batting Practice at 8:00 am - Games are at 8:30 am. Initial details: 3 Divisions - Division A: Men’s 40-60 Year Old Division (Major and Major Plus Players....competitive), Division B: Men’s 60-70 Year Old Division (Players who still have it, maybe lost a step) and Division C: All Women and Men’s 70 and Up Division (Players having FUN). Coaching drafts will be held. Registration will be on-line starting after the SW Championships (5/2). Stay tuned for details. NEW Document Collector with ALL of our Forms and Documents added to the LVSSA Home Page. Click on "Document Collector" above! As of 4/21/2019 - 320 members (including honorary) have registered for 2019 - THANKS! If you have not already, please register by going to the "Become a Member" page. Check out our new sponsor "Senior Softball Life"! Also, we have Dudley products under "Merchandise". Login to your LVSSA account, mouse over Merchandise, click on Bats, Bat Bags, Batting Gloves or LVSSA Patches. "Available Inventory" has been added to the "Merchandise" page and lists what LVSSA has in stock right now! Contact Rod at rra1956@gmail.com to order. The calendar has been updated through May with new game start times. NEW FIELD WORKER RESPONSIBILITIES DOCUMENT - STARTING WITH THE SOUTHWEST CHAMPIONSHIPS ON APRIL 23rd. Thursday, May 9, 2019 at NOON at Skinny Dugan's. The Agenda will be be posted to the Document Collector and Documents 2 page. Know of an LVSSA member that is on-the-mend? Contact Marcia, our goodwill ambassador, at lvssasect@gmail.com to send her a goodwill brief. Joel Holtzman - In the hospital. Recovering. Sandy Colvin - Eye issue, heart blockage - had stint surgery, had pneumonia in January. Recovering. Jim Hoenninger - Heart Attack - expected back out. Don and Marcia Sobieray - Taking Swings at Wednesday BP at the Field. Al Castaldy - heart surgery - recovering. Louise Freiheit - broken leg above the ankle - recovering. 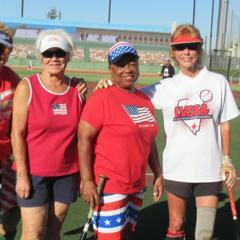 The Las Vegas Senior Softball Association welcomes you to our new and improved website. This new site has a great calendar that lists all pertinent tournaments and Lorenzi Scrimmages. You will see a new Teams section that lists rosters for each team. There will be plenty of new things coming as we develop this site over the coming months. If you would like to contribute a story or an idea for the site, feel free to do so here. On this page you will find information (guides, links and videos) about popular topics on the SportsEngine Sports Management Platform. 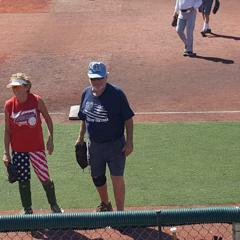 Key help topics include: helping coaches and parents manage and follow Las Vegas Senior Softball Association teams, and topics helping parents set up their accounts and get messages. SportsEngine offers an in-depth help center with help documents and videos at help.sportsengine.com. In addition, there is a thriving community where we provide practical use cases for features, as well as a place to ask questions and get tips from other organizations on the platform. Go to community.sportngin.com to explore the community site. Check out our new Comment Board. This new online meeting place let's our members talk softball. You can respond to comments or start your own subject. Let's get some good conversations going and remember, be nice! 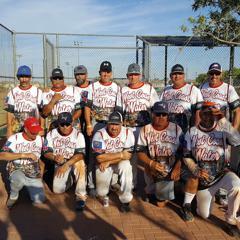 LVSSA exists to promote Senior Softball from ages 40+ through 85+ by providing fields to scrimmage weekly, the Southwest Championships and World Masters tournaments, along with connections to local league play. Running the highest quality tournaments and providing for the needs of our membership utilizing a group of volunteers ensures a pleasurable experience for our players. We offer world class tournaments featuring the two largest SSUSA events in the USA. Las Vegas offers the finest hotels, entertainment, restaurants and gaming. The warm, dry climate along with exclusive use of the Trump "Rock" softball and field maintenance between every game make Las Vegas the premier place to play softball. 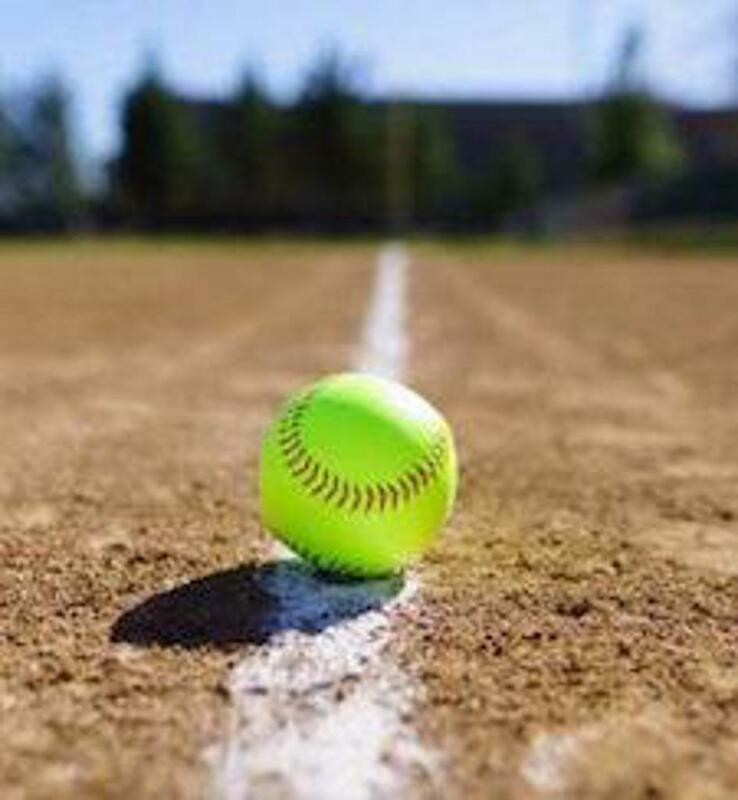 Our selection of ballfields is top notch. With 216 teams this year, this always growing event is the 2nd largest on the SSUSA circuit. 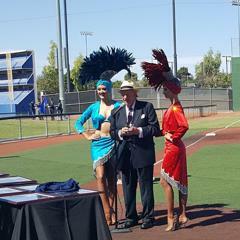 Las Vegas Senior Softball, along with SSUSA makes this a great event. Temps are usually in the mid 80's with very low humidity. This tournament is not reserved for just residents of the Southwest. So wherever you live, you're welcome to join us. The granddaddy of all senior softball features more than 600 teams from all over the world. Many believe they have to win a qualifier to be in this tournament, but that is not true. All SSUSA qualified roster teams are welcome. Beginning in the third week of September, the World Masters is open to all ages from 40+ thru 85+ at all different levels of play. This is the one event you don't want to miss. Rings are given out to all bracket winners. Come out and show us how good you are. 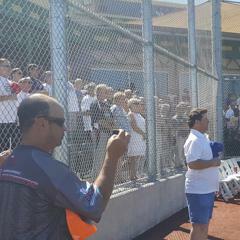 ©2019 Las Vegas Senior Softball Association / SportsEngine. All Rights Reserved.